Home Companies Nutrifirst Biotech Inc.
Latin Name Morus Alba L.
Storage Store in cool and dry places, keep away from strong light. Shelf life 2 years when properly stored. What is mulberry fruit powder? Mulberry fruit Powder is derived entirely from fresh mulberry fruit, ensuring that is of the absolute highest quality and purity – delivering more nutrients, vitamins and minerals. Mulberry fruit Powder is manufactured when fresh Mulberry fruits are squeezed and then spray drying into a fine powder. 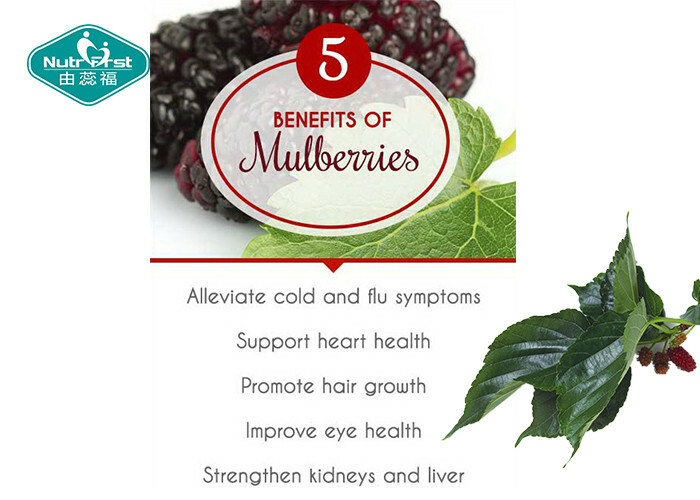 This ensures that all the goodness of the Mulberry fruit is retained and results in a super-concentrated powder form of this nutritious fruit. 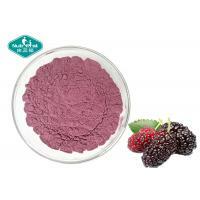 Mulberry fruit powder has a slightly tart and sweet fruity flavor. It can be added to a wide variety of dishes to give them an extra kick: salads, meats, guacamole, gravy, smoothies, yogurt, cereal, and desserts, to name a few.